To claim this profile, please confirm you are Nick Marinconz. To follow this profile, please let us know your relationship to Nick Marinconz. The Valley Christian varsity baseball team won Wednesday's away non-conference game against Monte Vista Christian (Watsonville, CA) by a score of 18-5. RESULTWin Varsity baseball vs. Mission. The Valley Christian varsity baseball team won Tuesday's home non-conference game against Mission (San Francisco, CA) by a score of 9-0. RESULTWin Varsity baseball @ Saint Francis. 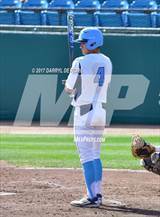 The Valley Christian varsity baseball team won Friday's away conference game against Saint Francis (Mountain View, CA) by a score of 4-2. RESULTWin Varsity baseball vs. BCP. 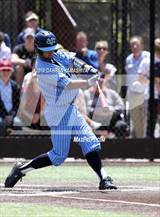 The Valley Christian varsity baseball team won Tuesday's home conference game against rival school Bellarmine College Prep (San Jose, CA) by a score of 7-0. RESULTWin Varsity baseball vs. Archbishop Riordan. The Valley Christian varsity baseball team won Saturday's home conference game against Archbishop Riordan (San Francisco, CA) by a score of 15-0. RESULTLoss Varsity baseball @ Serra. The Valley Christian varsity baseball team lost Thursday's away conference game against Serra (San Mateo, CA) by a score of 1-0. The Valley Christian varsity baseball team won Tuesday's home conference game against Sacred Heart Cathedral Preparatory (San Francisco, CA) by a score of 4-1. RESULTLoss Varsity baseball @ Archbishop Mitty. The Valley Christian varsity baseball team lost Friday's away conference game against Archbishop Mitty (San Jose, CA) by a score of 6-4. The Valley Christian varsity baseball team won Tuesday's home conference game against St. Ignatius (San Francisco, CA) by a score of 10-4. RESULTWin Varsity baseball vs. Jesuit. The Valley Christian varsity baseball team won Saturday's home non-conference game against Jesuit (Carmichael, CA) in extra innings by a score of 5-4. RESULTWin Varsity baseball vs. Saint Francis. The Valley Christian varsity baseball team won Friday's home conference game against Saint Francis (Mountain View, CA) by a score of 6-0. RESULTWin Varsity baseball @ BCP. 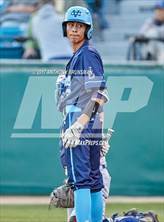 The Valley Christian varsity baseball team won Tuesday's away conference game against rival school Bellarmine College Prep (San Jose, CA) by a score of 2-0. RESULTWin Varsity baseball @ Archbishop Riordan. The Valley Christian varsity baseball team won Saturday's away conference game against Archbishop Riordan (San Francisco, CA) by a score of 25-0. RESULTWin Varsity baseball vs. Serra. The Valley Christian varsity baseball team won Friday's home conference game against Serra (San Mateo, CA) by a score of 10-0. Nick's baseball stats have been updated for the win @ Sacred Heart Cathedral Preparatory. RESULTWin Varsity baseball @ SHCP. The Valley Christian varsity baseball team won Tuesday's away conference game against Sacred Heart Cathedral Preparatory (San Francisco, CA) by a score of 11-4. Nick's baseball stats have been updated for the win vs. Elk Grove. RESULTWin Varsity baseball vs. Elk Grove. The Valley Christian varsity baseball team won Thursday's home non-conference game against Elk Grove (CA) by a score of 8-6. Nick's baseball stats have been updated for the win vs. Wilcox.